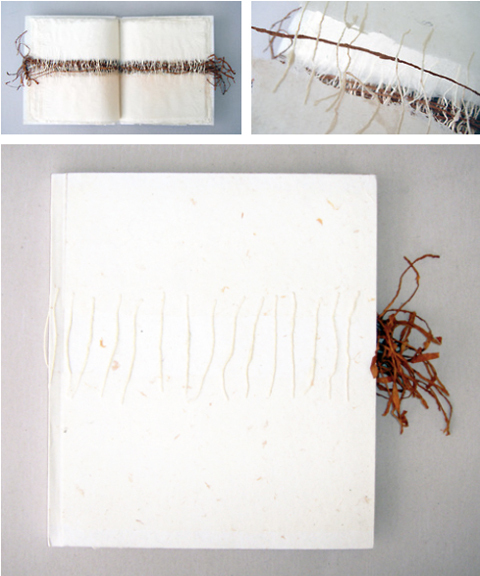 As promised a couple of weeks ago we can finally show you the most recent results of our foray into papermaking and bookbinding: two fine, handmade books made of handmade abaca paper incorporating Shifu-type paper yarn. 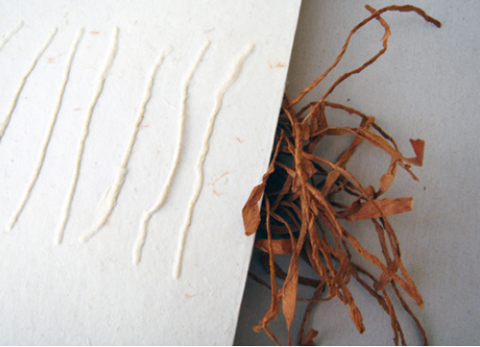 Handmade Shifu paper yarns made of handmade, Korean hanji paper and Nepalese lokta paper (brown) lie between superthin and tranlucent layers of abaca paper. 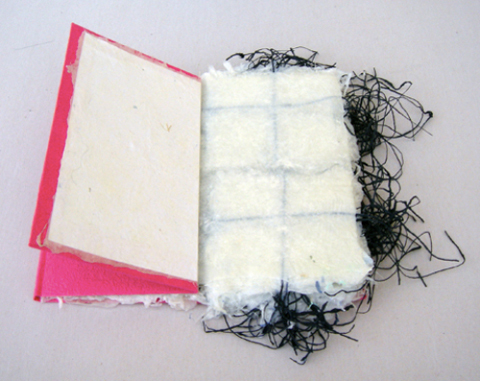 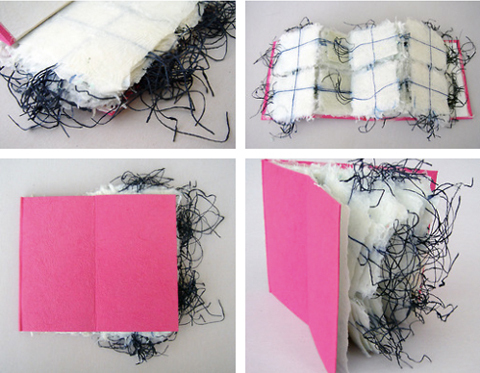 The covers of the books are bound in handmade abacca paper (white-natural) and Japanese washi paper (pink).